Identify current standards and regulations for electrical safety. Understand the effects of electric shock and arc flash. Perform a shock risk assessment. Perform an arc flash risk assessment. Demonstrate the skills and techniques necessary to distinguish exposed energized electrical conductors and circuit parts from other parts of electrical equipment. Demonstrate the skills and techniques necessary to determine the nominal voltage of exposed energized electrical conductors and circuit parts. Explain how to establish an electrically safe work condition. Explain individual and group lockout procedure. Demonstrate how to properly select, inspect, and maintain electrical PPE, tools, and equipment. Explain emergency planning procedure and first aid techniques for electrical incidents. Bottom line. 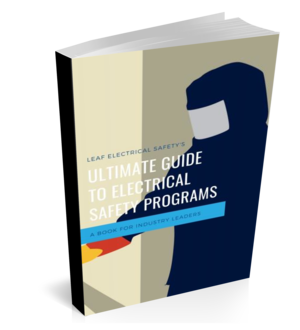 Make sure the electrical safety training course you provide or send your workers to covers these concepts and more. Make sure you mix it up. Your electricians learn in different ways and at different paces, which is why you are going to want to enable each of them to gain access to the information they need in different ways. Instructor based training has its place and for some is a fantastic way to learn, while others will only get it once they can see it applied in a practical situation. Online training offers a different experience where electricians can go at their own pace and review things as often as needed. Another idea is to combine some of these to fulfill the entire learning requirements. My dad always said a change was as good as a break. So instead of participating in an 8-hour classroom session, do 3 in class, 3 in the field, and 2 online. Keep this in mind when decided how to approach the learning. Isn't that a good one. And he is bang on. Too many times I've gone into electrical safety training sessions where the students have not only forgotten the material, they've forgotten that they ever took the course! But seriously this is an issue. Some employers are only interested in compliance with the standard, and the standard says the training must be completed every three years. Do you believe that is sufficient? Three years is a long time, and the truth is that the "training" needs to be happening on an ongoing basis... daily. Toolbox talks, weekly safety huddles, pre-job and post-job analysis needs to be happening within your organization, this is how you will reinforce the electrical safety principles in someone's mind. You can't expect to take a course once every three years and have success. Electrical safety training is not something to take lightly and is so important for the success and safety of your electricians. Please take the time to put together a plan, build a strategy for maximum engagement, and realize that this is an ongoing process!